Dragon Mountain Provincial Park was established as a result of the Cariboo-Chilcotin Land-Use Plan Goal 2 (Special Feature) process. It protects the viewscape in this area along with mule deer winter range values. This park contains mostly immature and mature conifer forests, (Douglas-fir and lodgepole pine) with some deciduous forests and a small amount of old forest. The park is located approximately 14 kilometres south of Quesnel. 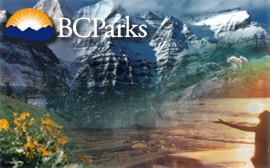 The management plan for Dragon Mountain Provincial Park was approved in December 2015.